Garth Crooks has paid tribute to Mohamed Salah’s ruthless reaction to his three game run without a goal in Saturday’s win over Bournemouth. 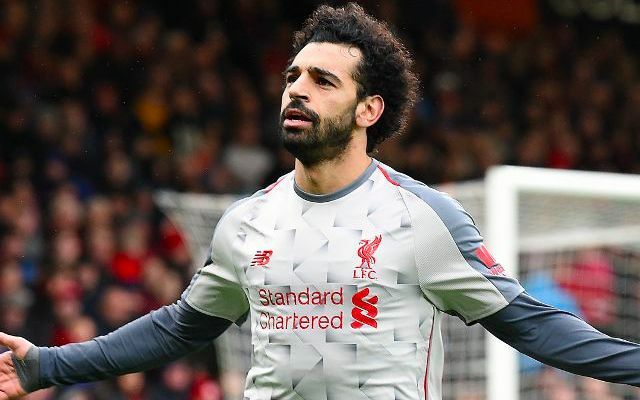 The Egyptian scored a superb hat-trick as the Reds fired four unanswered goals to leapfrog Manchester City into top spot in the Premier League. His treble saw him become the division’s joint-top scorer alongside Arsenal’s Pierre-Emerick Aubameyang with 10, as well as further quash lingering doubts over his form. The idea Salah and his fellow frontmen are yet to click again is both a mouthwatering prospect for Reds and a terrifying one for Liverpool’s closest rivals. Salah has been growing in confidence again in recent weeks, with Jurgen Klopp suggesting he has finally fully recovered from the shoulder injury he sustained in May’s Champions League final. Last season’s Golden Boot winner has admittedly looked tentative at various stages over the start of the campaign, but the same scent for goal scoring positions and opportunities has still been evident. A lack of conviction in the final third from the front three has primarily fuelled attacking frustrations rather than a failure to break teams down effectively. It was always going to take time to adjust to a more balanced approached designed for decisive chances rather than the kind of frenetic barrages that blew opponents away last season. Salah, in particular, is beginning to grab that approach by the horns.